Boutique accommodation in a prime location just metres from the beach. 2 stand alone one bedroom apartments overlooking beautiful Hot Water Beach. Set in tropical gardens with north-facing decks. Ideal for couples. Hot Water Beach is renowned for its hot springs. Dig yourself a hot pool on the beach a couple of hours either side of low tide. Enjoy the soft white sand, the pohutukawas, the cafes and art gallery. Close to Cathedral Cove and Hahei, Cooks Beach and Whitianga. Sea kayaking, surfing, diving , fishing and swimming are just some of the activities on offer in this beautiful part of the Coromandel. Linen fee $25.00 per couple. 2 nights minimum preferred. During high season 4 nights minimum preferred. Perhaps a table to eat outside? Would it be possible to trim some plants and get a bit of a see view? We loved our stay and would go back. Everything was well organized. Convenient, clean home with all the amenities and a cool layout. The property was in great proximity to the beach, but quiet and private. We really enjoyed opening up all the windows and glass doors to let in the ocean breeze. Kitchen was well enough equipped to cook a simple supper. Cool, modern, extremely clean and well equipped. 2 minute walk to the beach and very private. We loved our stay at Hot Water Beach and found it hard to leave. The Apartment is modern and very closed to the hot water beach. It has also a lovely garden. We will come again. Wonderful location - walking distance to hot water beach and cafes. 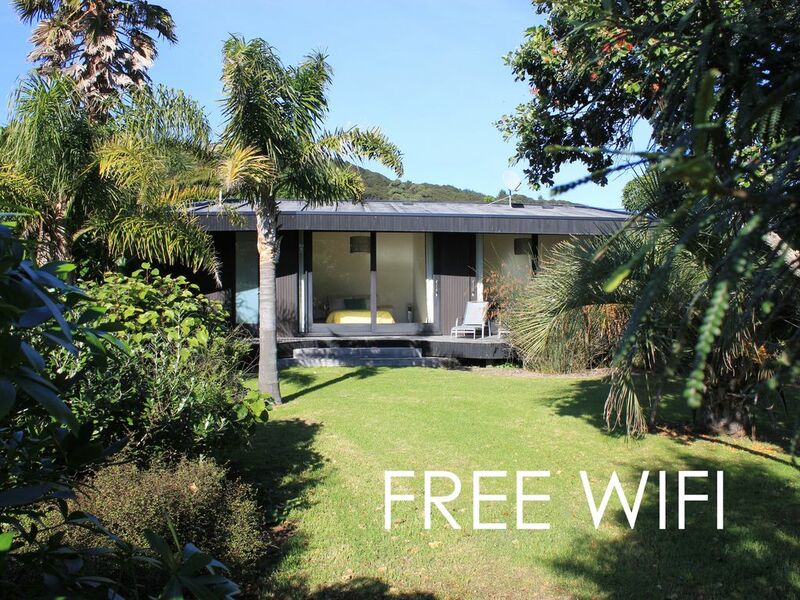 Wonderful location - walking distance to hot water beach and cafes. Property maintained really well. Everything we wanted was available to us.